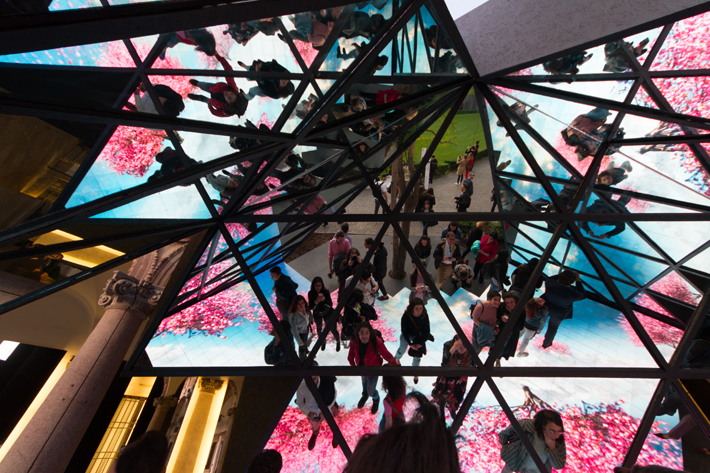 Salone del Mobile and Fourisalone define Milan’s Design Week—the place to get to know the latest trends. Many important brands located in the design districts introduce their new collections and host special events with live music and entertainment. 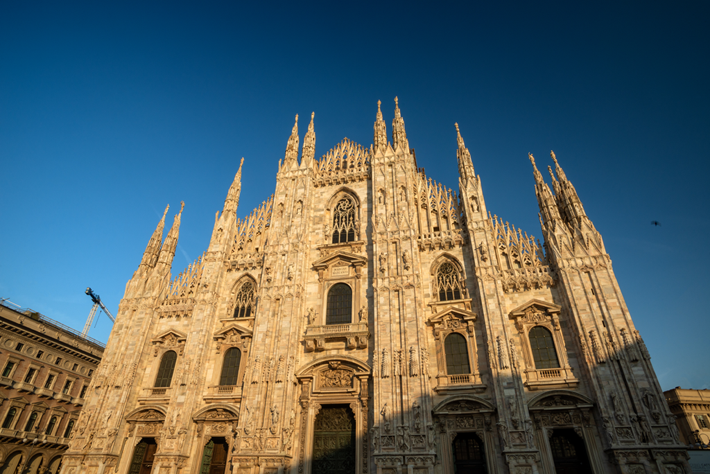 With these upcoming events in Milan, it seemed appropriate to talk about the best bars and restaurants to visit during your trip. We promise each of them will deliver an unforgettable experience! 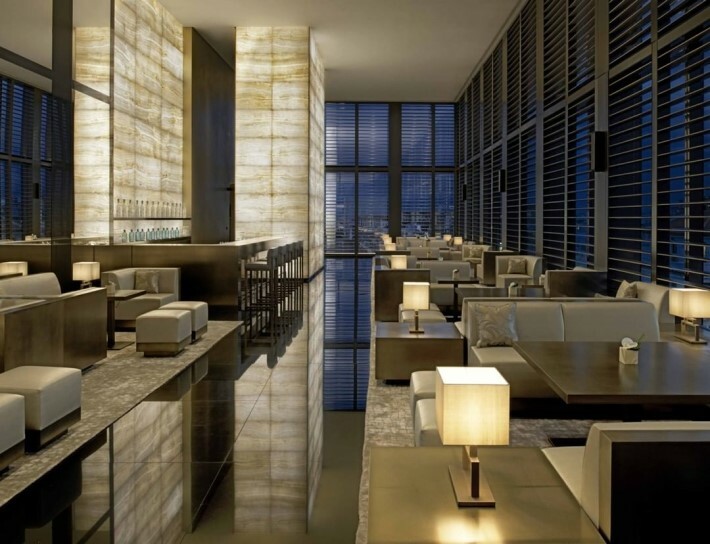 This exclusive cocktail lounge inside the Armani Hotel is the perfect spot to enjoy an Aperitivo with a view. This bar offers an exclusive and refined space to enjoy a relaxation break, an informal lunch or a sophisticated pre-dinner aperitif. 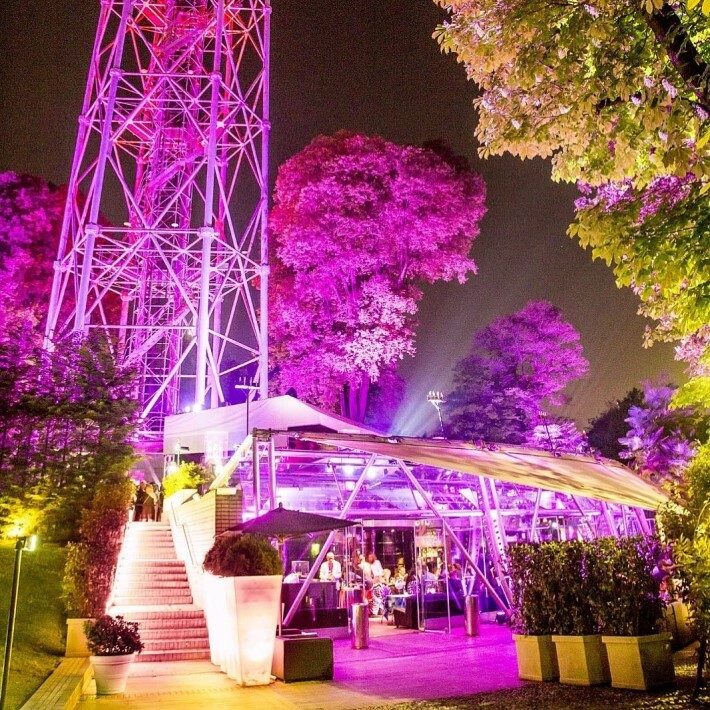 This incredible club and restaurant from fashion designer Roberto Cavali and architect Italo Rotais is located at the foot of Parco Sempione’s famous Torre Branca viewing tower. It’s a VIP club like no other: here you can find the best looking-party addicted, celebrities and socialites. The cocktails are obviously made with Roberto Cavalli Vodka. 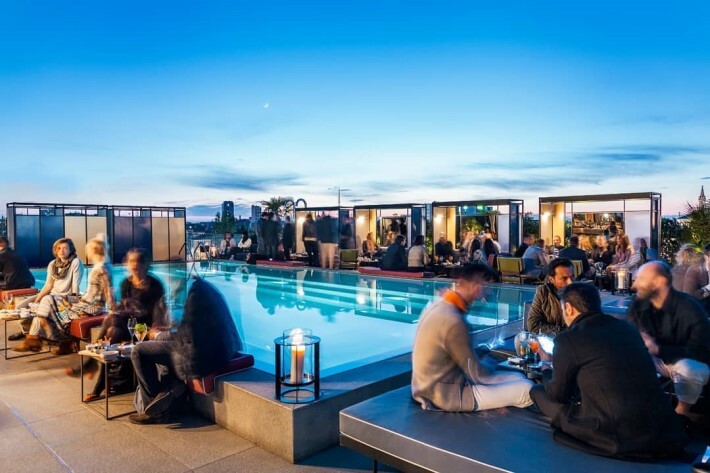 This space is even more beautiful in the summer—where you can dance on the outdoor terrace with two scenic dance floors under the stars. Completely exclusive, in the Honesty Club you have one part bar, and one part invitation only members club—but both parts are an oasis for fine foods and drinks. 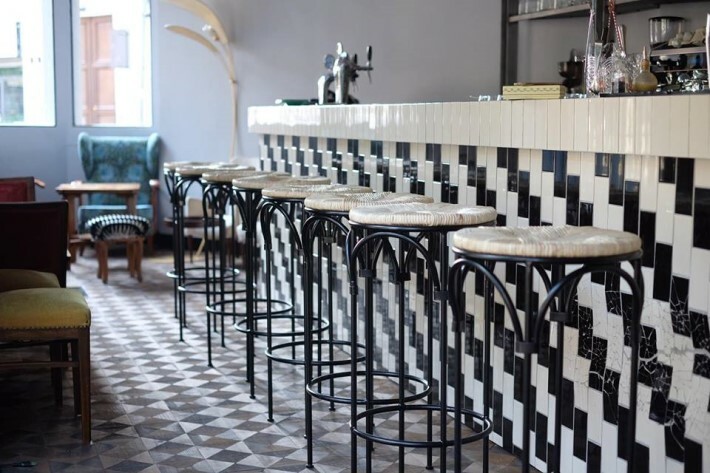 All the bar was designed by Centropolis Design, who choose to incorporate a black and white palette, which is enriched by shades of cream and grey. 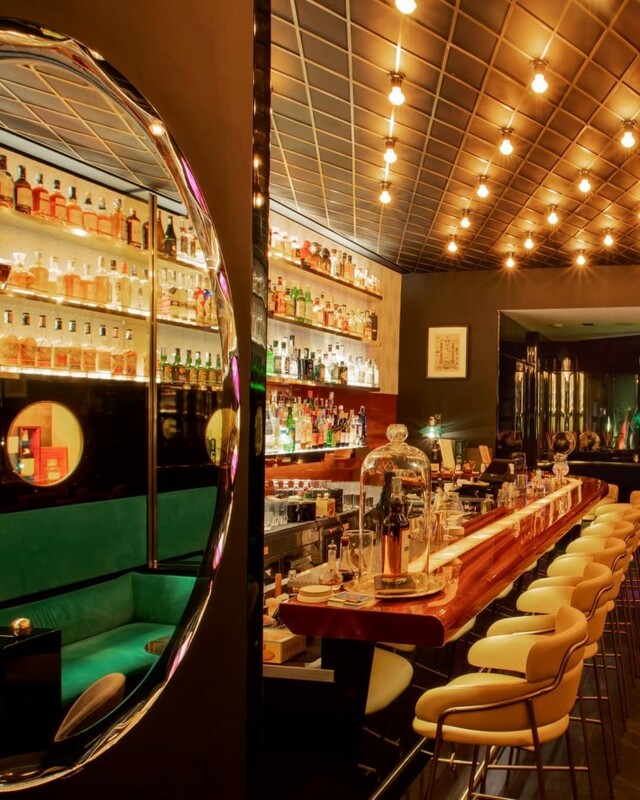 Designed by Valentina Lubiano, the Rocket Bar is a space who mix modern design with old vintage. 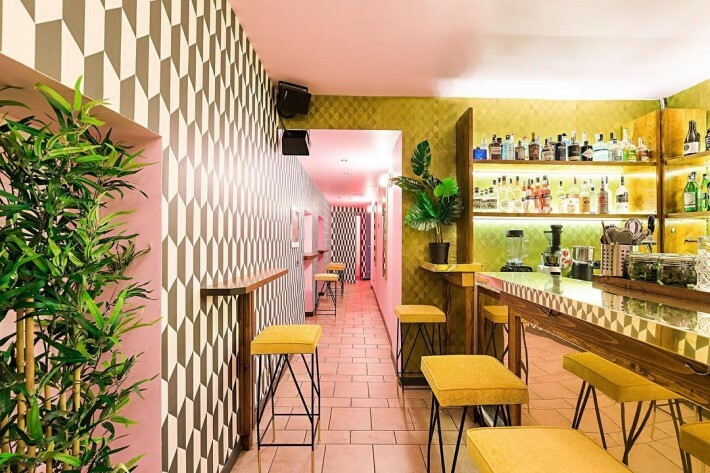 It features gold and pink wallpapers who gives life to this bar. It’s not only the artistic space that matters: The menu is composed of 10 proposal drinks by Mattia Mizzi, allowing you the ability to enjoy traditional cocktails or mix flavors from all over the world. Ceresio 7 is open all day long: in the morning you can enjoy the pools, in the afternoon the open-air terrace to watch the sunset with the typical Aperitivo and after dinner, cocktails. The bar features two lounges, a smoking room, and a poolside tables and cabanas. 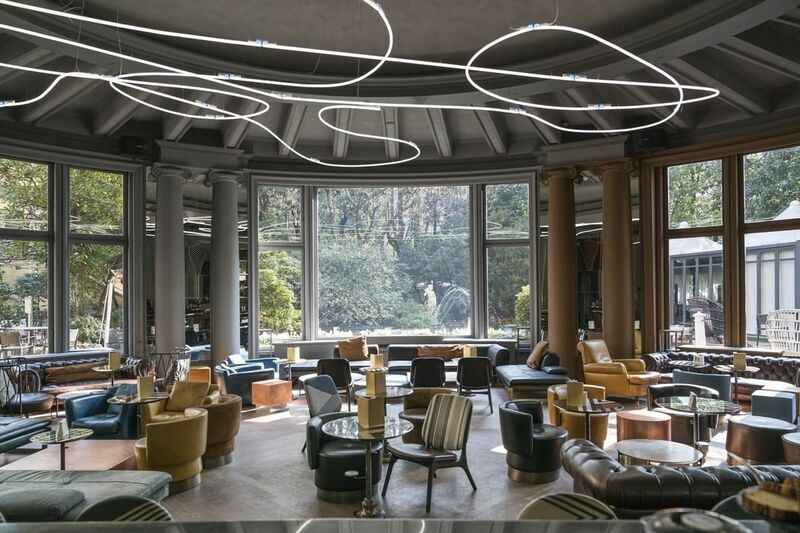 The trendy cocktail lounge bar and the beautiful garden at Sheraton Diana Majestic hotel is one of the hottest spots in Milan! The signature delicious cocktails make this one of the city’s most popular after-work pit stops. At first sight, you might not see the door. You must be really curious and adventurous to get in here. But it’s worth it! The Spirit is full of custom made velvet sofas, extravagant mirrors and games of sparkling lights. Surrounded by rare bottles from all over the world, you can enjoy the unusual mixed ingredients of their crafted cocktails. 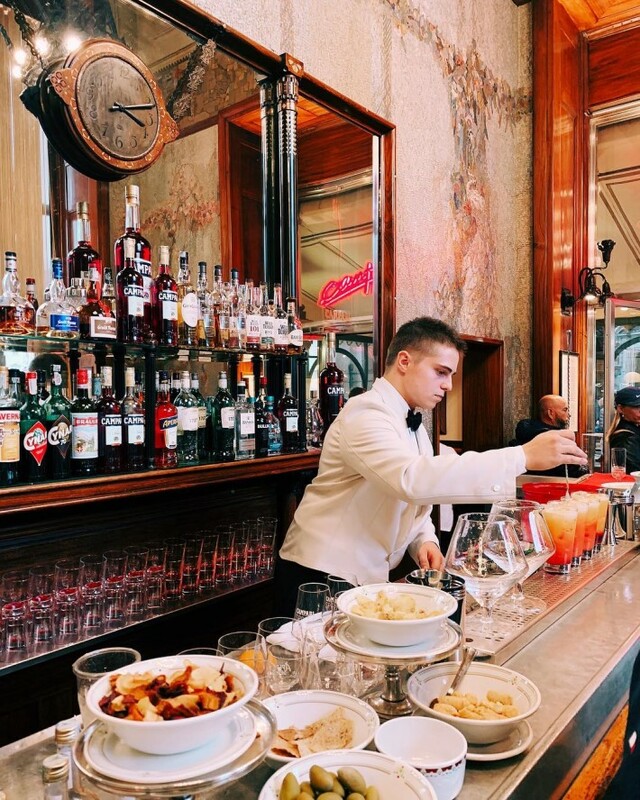 In 1687, Gaspare Gampari opened the first shop inside Galleria Vittorio Emanuele II, which was known by his famous aperitif. His son, Davide took over the company and continuing his father legacy, opening the Camparino Bar, in 1915. Over the years, this bar has maintained its elevated status. You can joy here an Americano cocktail or the famous Milanese Aperitifs. 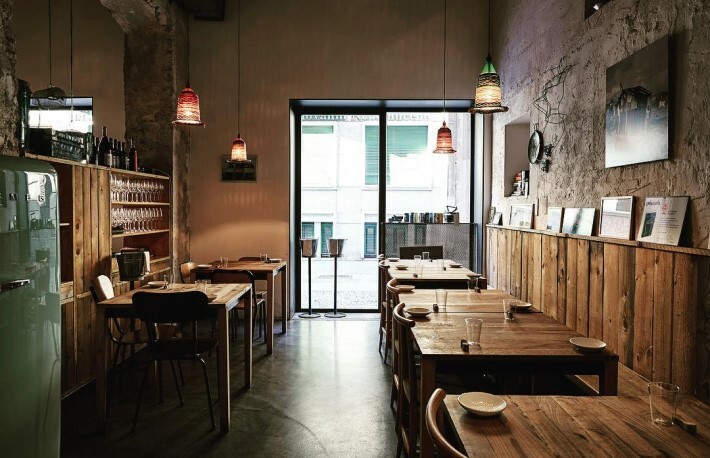 Born in 2017 in Porta Romana, Dabass is a bistro restaurant with delicious food and unique drinks. The furniture from bathroom to dining area is entirely upcycled, with vintage chairs and tables—it will make you feel like you’re in 1960s Milans. Surfer’s Den was born in November 1999 with the goal to provide a meeting point for people who like surf—from people interested in knowing information about surfing to the lovers. 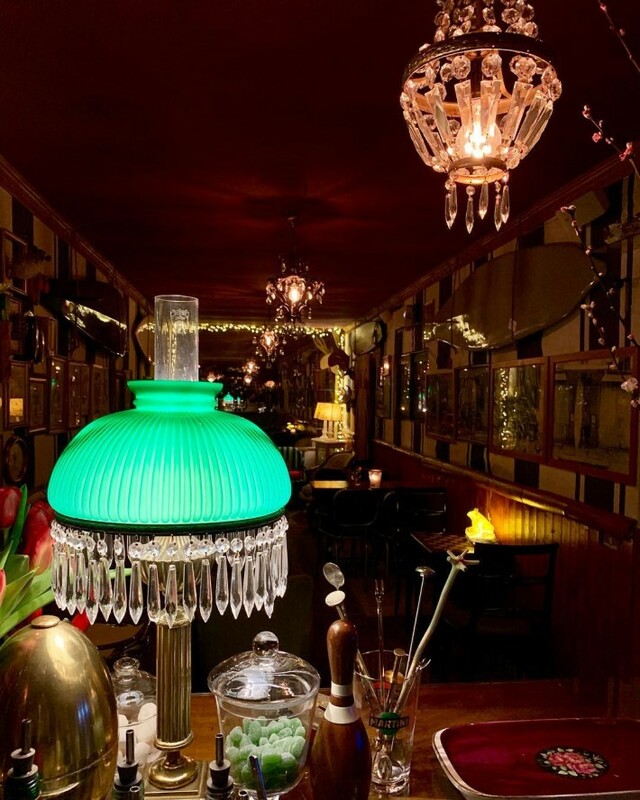 Known as “Den”, this bar is now a “reference point” for designers, journalists, writers, and illustrators to enjoy cocktails inspired by the scents and fantasy flowers. You can find Moreli just inside the elegant Hotel Viu. At the restaurant, guests are hosted in a warm and elegant atmosphere, free from the formalities that push away, instead of moving closer. 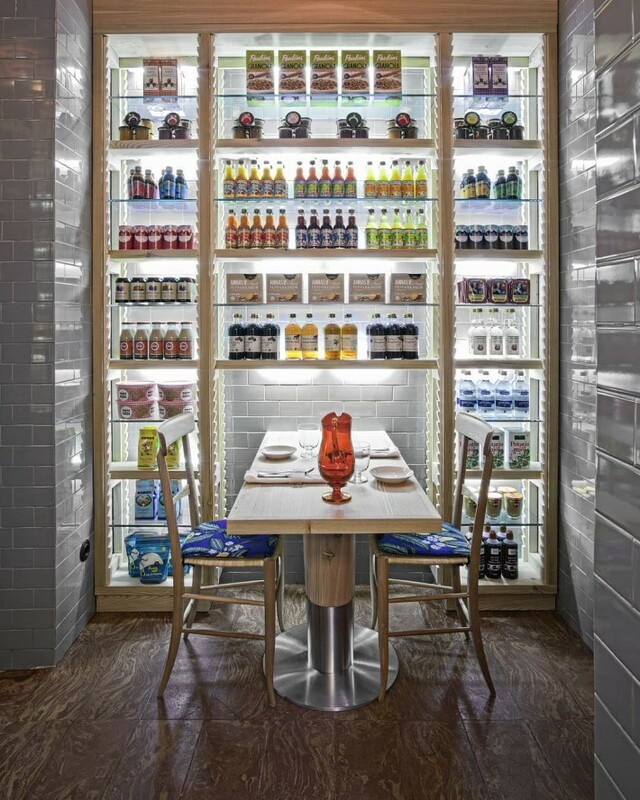 The main room is decorated in a simple but polished way, creating a place where dishes are the main protagonists. Italian Celebrity Chef Filippo La Mantia has decided to bring to Milan a piece of Sicily, its flavours, aromas and colors. This restaurant is open from morning, to evening, offering breakfast, brunch, lunch, cocktails and dinner. The design was by Piero Lissoni and together with Filippo, they have produced a wonderful space where you can feel the heat of Sicily, interpreted in Milanese style. 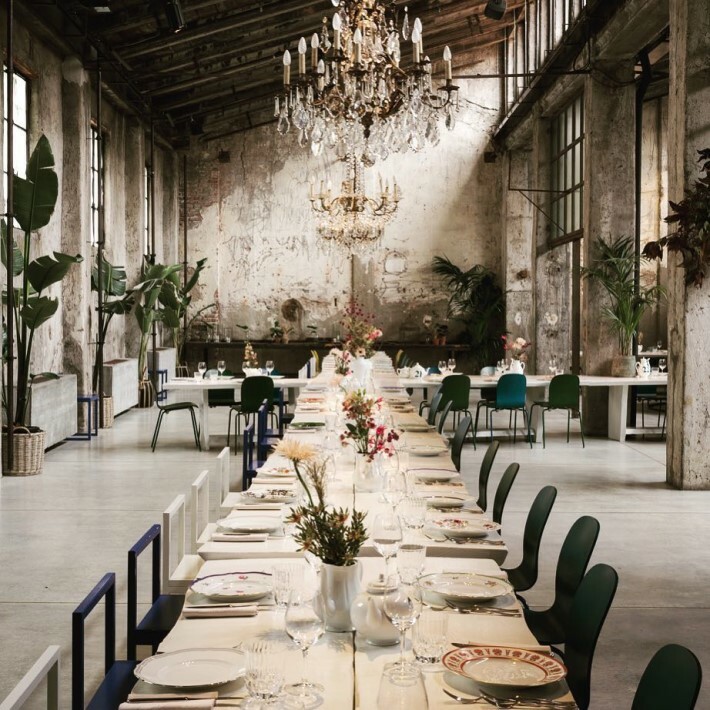 The Carlo e Camilla is a restaurant with cathedral ceilings and industrial walls surrounded by vintage chandeliers, designer chairs and a dramatic table that seats 70 persons. 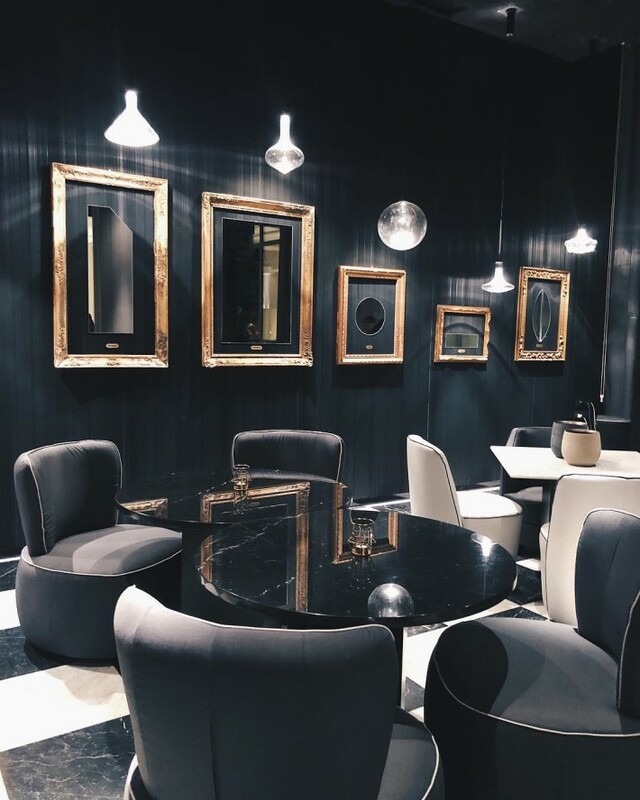 The space by itself steals the show – but the food and cocktails are delicious! Björk is the Swedish word for birch – a plant that best represents the Scandinavian countries for its natural elegance. This brasserie born from a common passion of Giuliana Rosst and Nicola Quadri for the Nordic Countries and their culture. 28 Posti is a quiet place, minimalist and collected spot with 28 seats and an external area that overlooks Naviglio in the background. 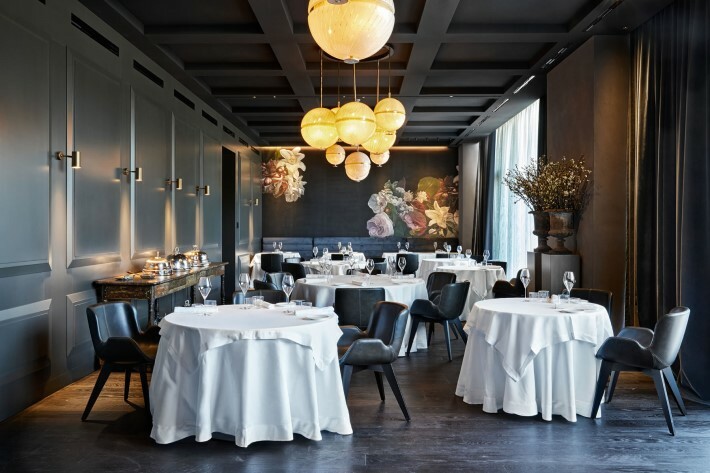 Marco Ambrosino is the chef and the person who has renovated this restaurant with the designer Odo Fioravanti just in time for Milan Design Week. The menu changes every two months, leaving intact some iconic chef’s dishes. 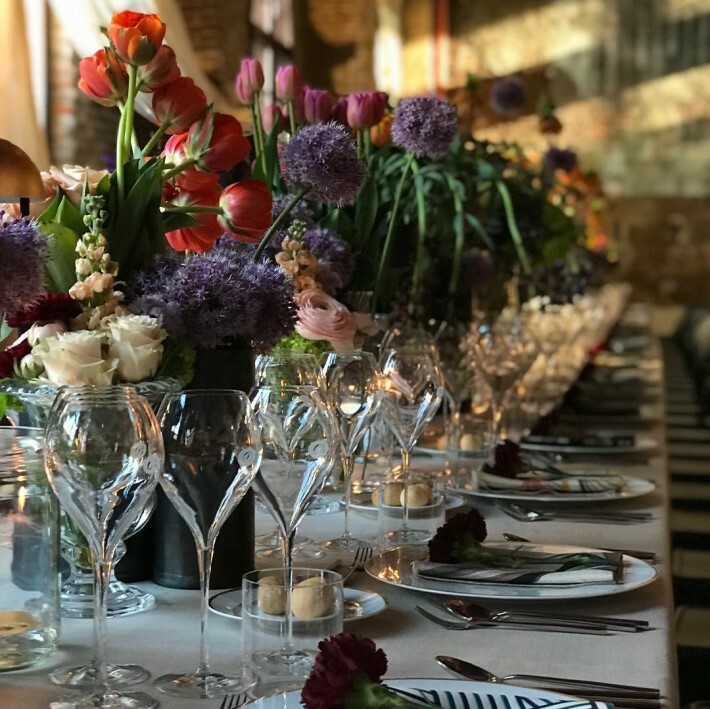 This restaurant is also a florist: In Potafiori you can enjoy your breakfast in the morning, appreciating the smell of fresh flowers, lunch seeing the seasonal flowers being created or at the evening enjoying an Aperitivo after dinner. This ambience make the perfect combination between the flowers and the flavors, completed with design objects created by Elisabetta Camapana e Lorenzo Gaetani. 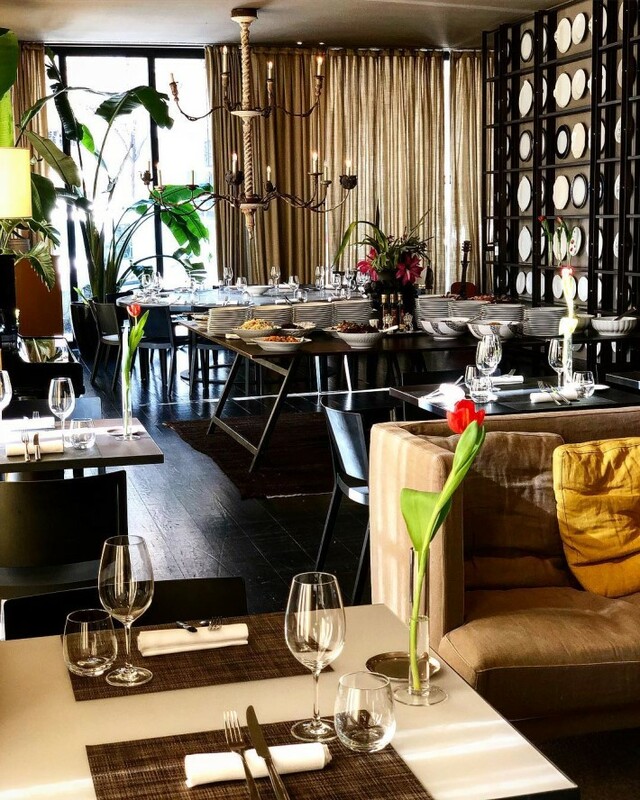 Chef Carlo Cracco managed to bring together a Restaurant experience, meetings at the Café, tastings at the wine and private events. 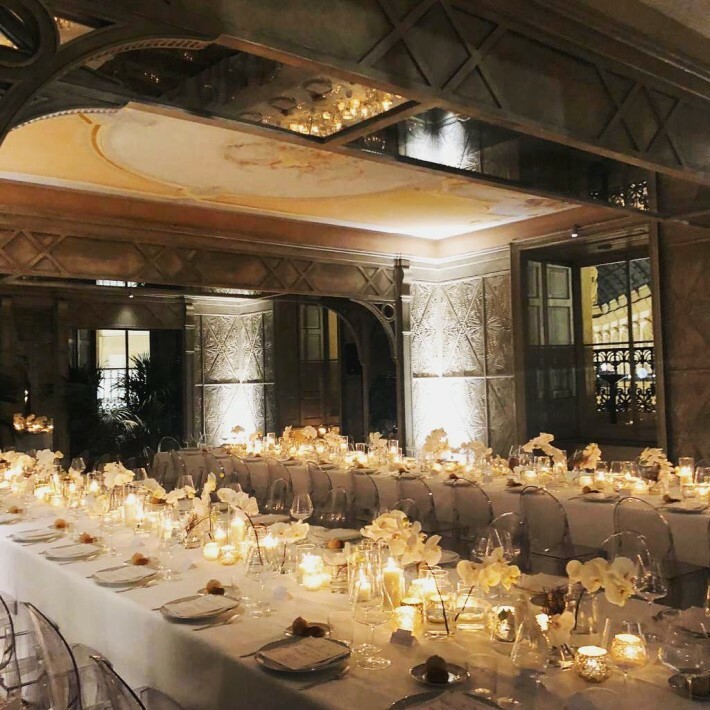 Inside the Galleria Vittorio Emmanuel II, this restaurant has three rooms and the two privé areas, revealing spaces that find and express their hidden value. The menu offers traditional options and unexpected dishes.